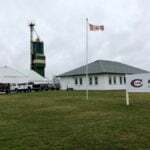 Awesome turned awful as September rolled into October with its short wet days and longer wet nights downgrading many cereal crops to feed quality across the Prairies. To make matters worse, a lot of grain that did make it into the bin was infected with fusarium and to a lesser extent with ergot. 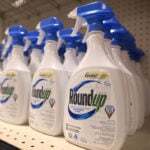 The fusarium family of fungi infects the seed of small-grain crops, corn and other grasses and causes a whitish-pinkish-orangish mould to grow on plants, producing a witch’s brew of mycotoxins, namely the Type B tricothecenes (T-2 toxins and deoxynivalenol, commonly called DON or vomitoxin), zearalenone and fumonisin. Claviceps purpurea is the fungus responsible for causing the black-purple ergot bodies in grain and grass heads that release toxic alkaloids. Alltech mycotoxin expert Dr. Max Hawkins says DON has been the most prevalent mycotoxin so far in new-crop corn silage samples from Canada and right across North America for that matter. DON is also the No. 1 mycotoxin showing up in spring wheat, barley and triticale samples from Canada. 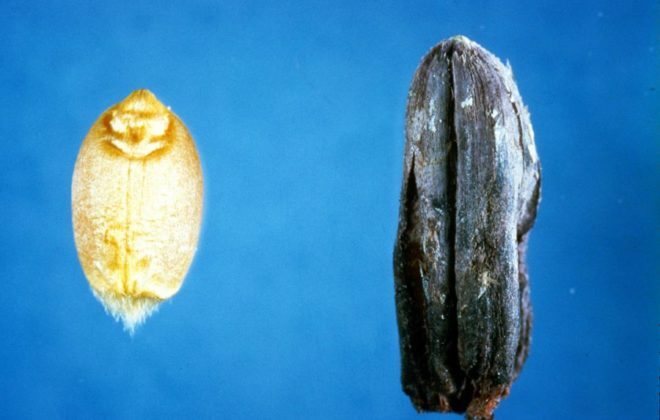 There have been some high occurrences of ergot, but they tend to be somewhat more regionalized and particularly concerning in some samples of spring wheat from the southern prairies and U.S. northern plains. Alltech’s 2016 harvest report on 100 total-mixed-ration samples from across the U.S. analyzed at the company’s ISO-accredited lab at Winchester, Kentucky, shows that less than two per cent of the samples are clean or contain only one mycotoxin. 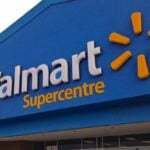 Nearly 18 per cent of the samples contain six to seven mycotoxins, 42 per cent contain four to five, and 35 per cent contain two or three. As Hawkins says, mycotoxin issues aren’t limited to growing regions with contaminated crops. Mycotoxins move around just as quickly as grain travels down the road or across the rails. 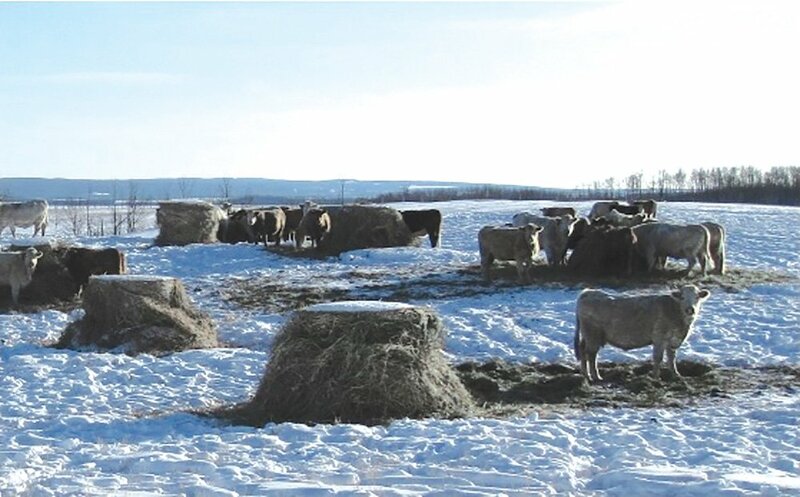 Grass pastures, cereal swaths and standing corn for winter grazing, cured and ensiled grass and cereal forages, crop co-products (straw, distillers grains, grain screenings, oilseed meals) and commercial feeds — in short, pretty much any feedstuffs that comprise beef cattle rations are potential sources of mycotoxins. This can create quite a challenge given that the organisms can persist from pasture to wintering rations. The risk to livestock depends on the level of contamination in the soil, the harvesting date, feed type, source of purchased feeds, and even the age and breed of cattle. Thermal image of hot spots in corn silage. Ruminants do have an advantage over monogastrics in that rumen microbes are capable of breaking down many mycotoxins to reduce and even void the toxic effects, depending on the mycotoxin. However, some mycotoxins play off others to compound toxic effects. 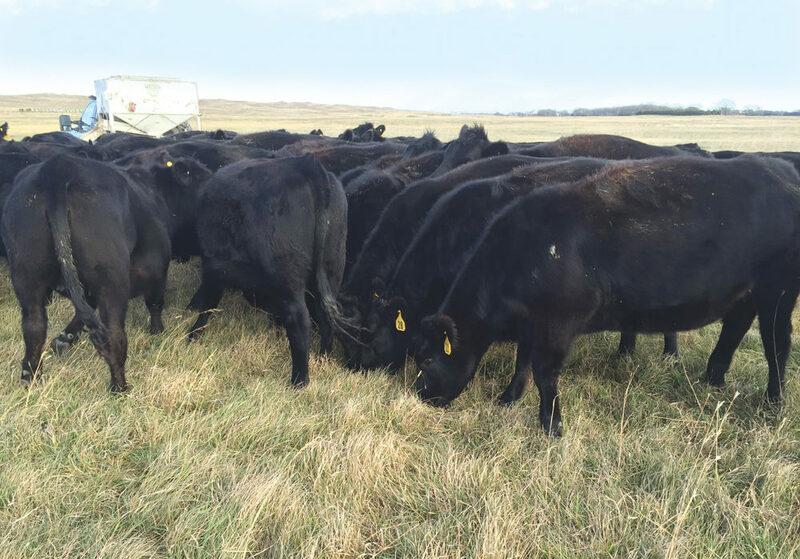 While mycotoxins present in single feed ingredients may be under the established tolerance level for beef cattle, combining the ingredients could be toxic. A typical example in cattle rations is DON and fusaric acid. 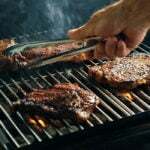 On their own, neither may be at a level of concern for beef cattle. Together, the risk equivalent factor (REQ) is 187. REQ is Alltech’s calculation of risk for all of the mycotoxin present, not just the one or two that are highest, Hawkins explains. A REQ at 187 is high risk for mature cattle and higher risk yet for young and growing cattle. Combinations of fungal moulds can also wreak havoc in stored feeds. For example, the mycotoxins produced by Penicillium fungi (blue to green mould), are efficiently broken down in the rumen and generally don’t cause problems for beef cattle unless they are present at very high levels, although they have been known to cause false positives for antibiotic residues in milk. When both Penicillium and fusarium are present in field crops, the overall mycotoxin levels in stored feeds tends to be high. 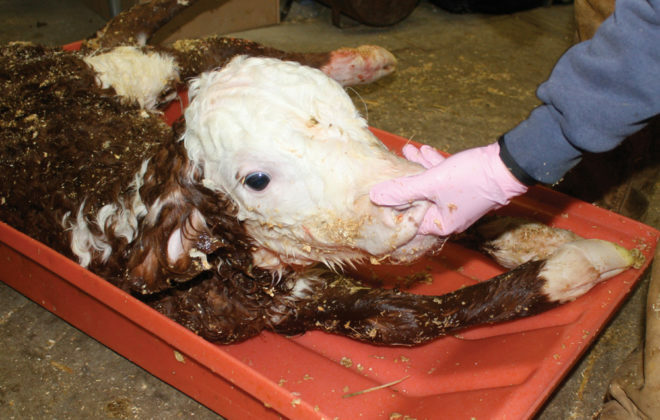 Mycotoxin poisoning at its worst in beef cattle can cause abortion storms and scours outbreaks. Usually, the symptoms of a steady low level of mycotoxins in feed are subtle, nibbling away at overall health and performance. Loose manure and a bloaty appearance are general signs. Feeders might become suspicious if the rate of gain isn’t up to par. 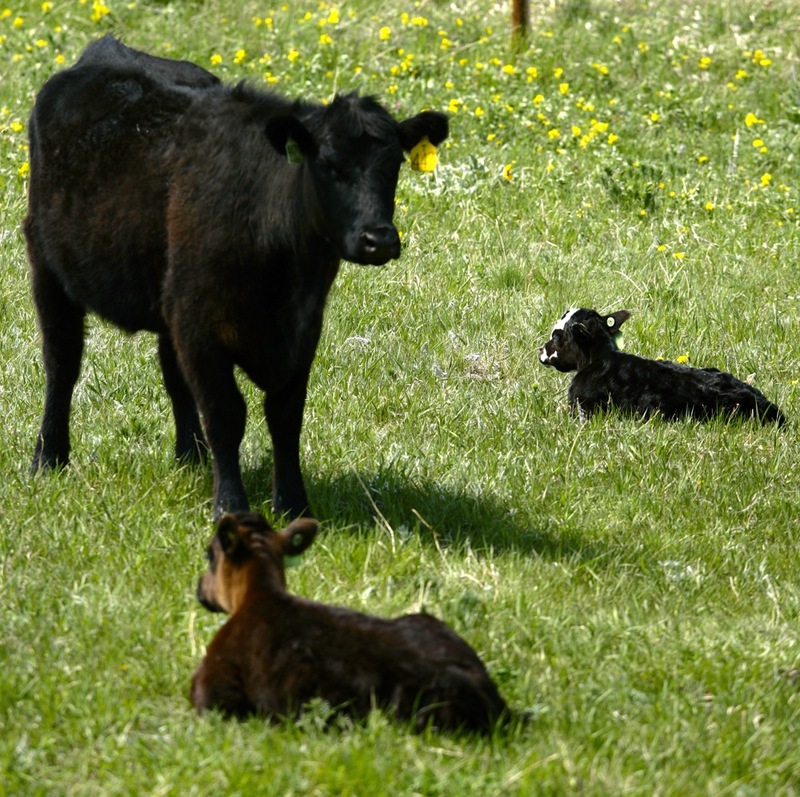 Cow-calf operators might see lower pregnancy rates or a decline in body condition. 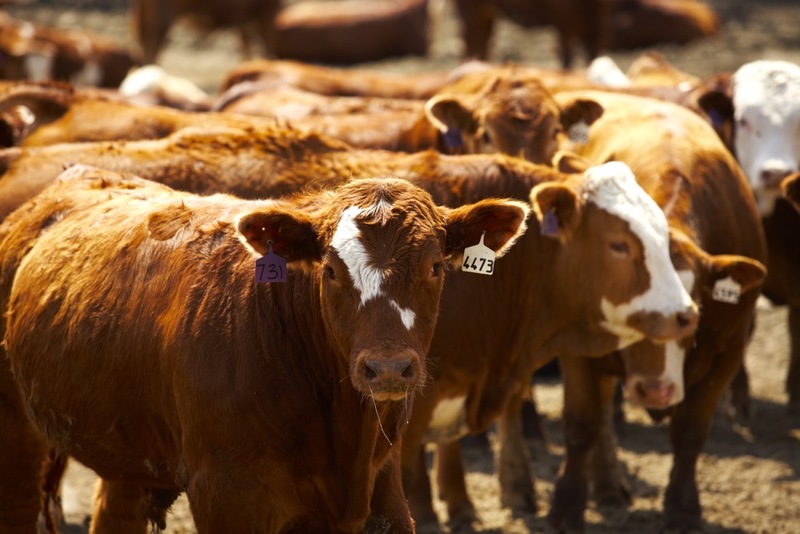 Possible warning signs of DON toxicity include diarrhea, reduced feed intake and reduced weight gain. T-2 toxin manifests as gastroenteritis (inflammation of the digestive tract), sometimes with intestinal hemorrhage and bloody manure. Zearalenone stimulates estrogen production and leads to reproductive problems that could include infertility, abortions, vaginitis, vaginal prolapse and enlarged mammary glands in young heifers. Fusaric acid may be the reason behind swelling of the lower legs, low blood pressure, lethargy and feed refusal. 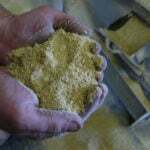 Feed refusal and weight loss are typical signs of ergot alkaloids in the feed. 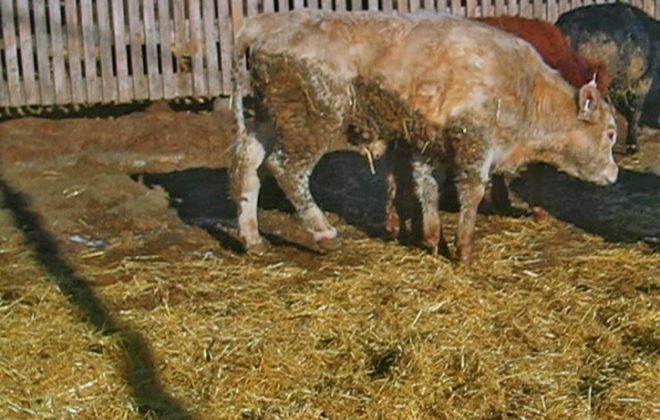 Ergotism in cattle most often constricts blood flow to the extremities, resulting in lameness and sloughing of ears, tails and even hooves. Some animals may show signs of the nervous form, such as excitability or convulsions. 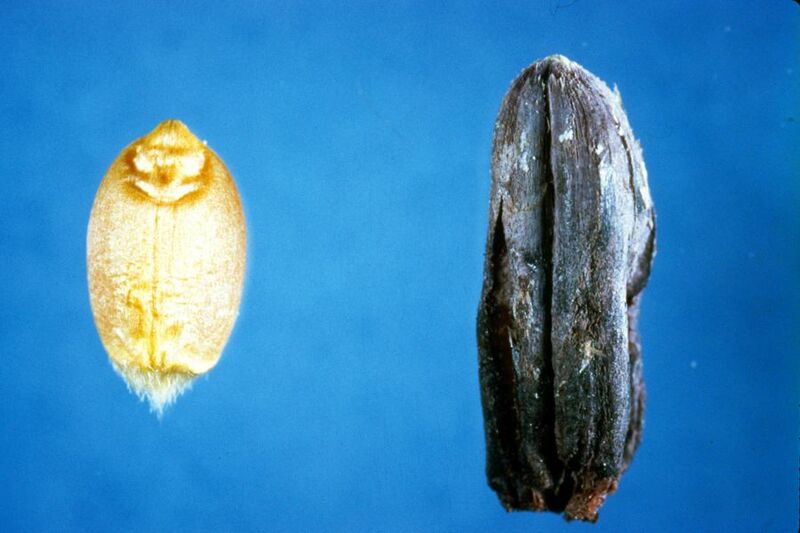 The estrogen in ergot bodies can cause abortions or disrupt the reproductive cycle. Mycotoxins are most often associated with wet conditions at certain stages of crop growth. Some like it cool, others need heat to germinate. Fusarium is a heat-loving pathogen that can affect drought-stressed crops as well. This was the case during the widespread drought of 2012 in the U.S. when Alltech brought together a team to develop a strategy for managing contaminated feeds. The resulting mycotoxin management program was launched in March 2013. 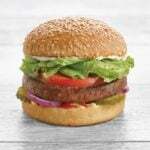 It has since been put into operation at all of the company’s feed manufacturing and premix facilities. Proper face management creates uniformity across the face. The first step is a Mycotoxin 37+ analysis which can detect more than 37 mycotoxins in raw feed ingredients, forages and mixed rations. Based on the results, the team assesses the risk to your animals and provides recommendations tailored to your operation. Alltech’s regional representatives will visit farms to take strategic samples. 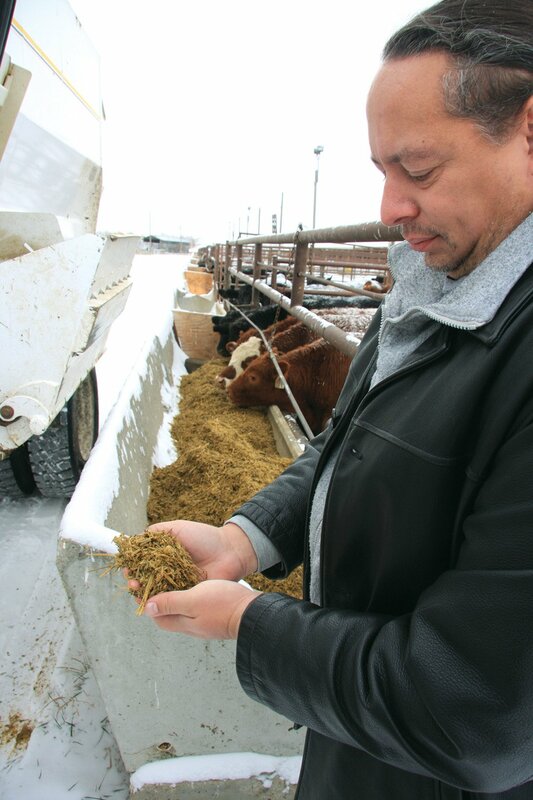 “It’s easy to get a sample, but challenging to get a good sample representative of all feedstuffs in one pound of material,” explains Hawkins. 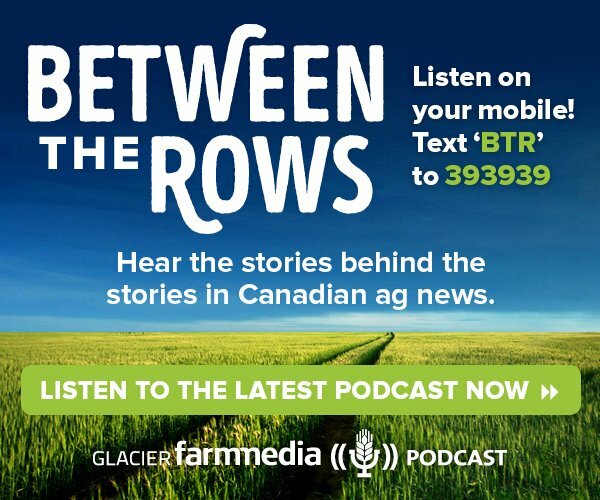 Not all calls are from producers experiencing problems. Some call because they’ve heard of issues in their area and want have an analysis done before any problems appear. 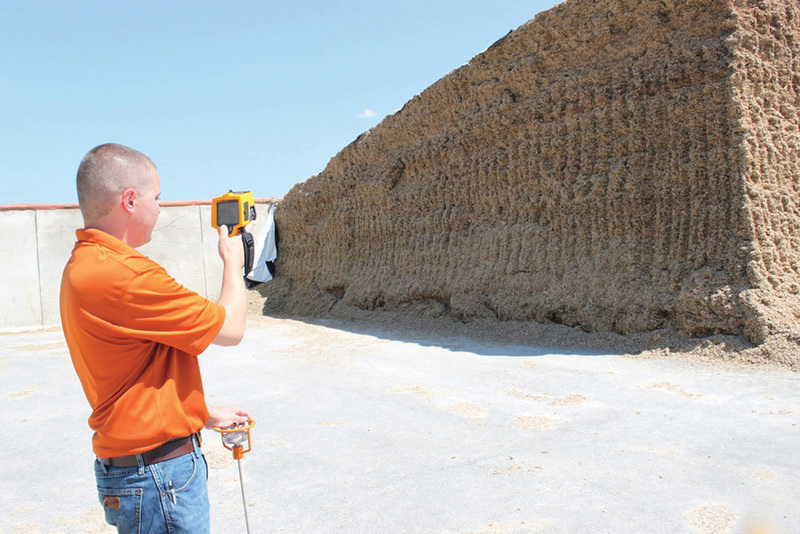 Alltech’s MIKO program evaluates feed and forage management using a systematic mycotoxin hazard analysis based on established HACCP principles for quality control. It begins with a hazard analysis, determines critical control points, establishes critical limits, and then establishes monitoring procedures, corrective actions, checking procedures and the record-keeping system. “From the results of all of the samples we receive, we create a database and issue full reports, starting with the harvest report, then again in late winter or early spring on how storage is affecting feeds, and at close-out in summer to evaluate the full effect over time from field through feeding. Then it’s time to clean things up and start again with the new crop,” Hawkins says. The reports are available from your nearest Alltech representative, the mycotoxin hotline at 866-322-3484, the Calgary office at 403-735-3281, or the Guelph office at 519-763-333. For more visit knowmycotoxins.com.